The pack contains Solar Red, Emerald Green and Blue Topaz. 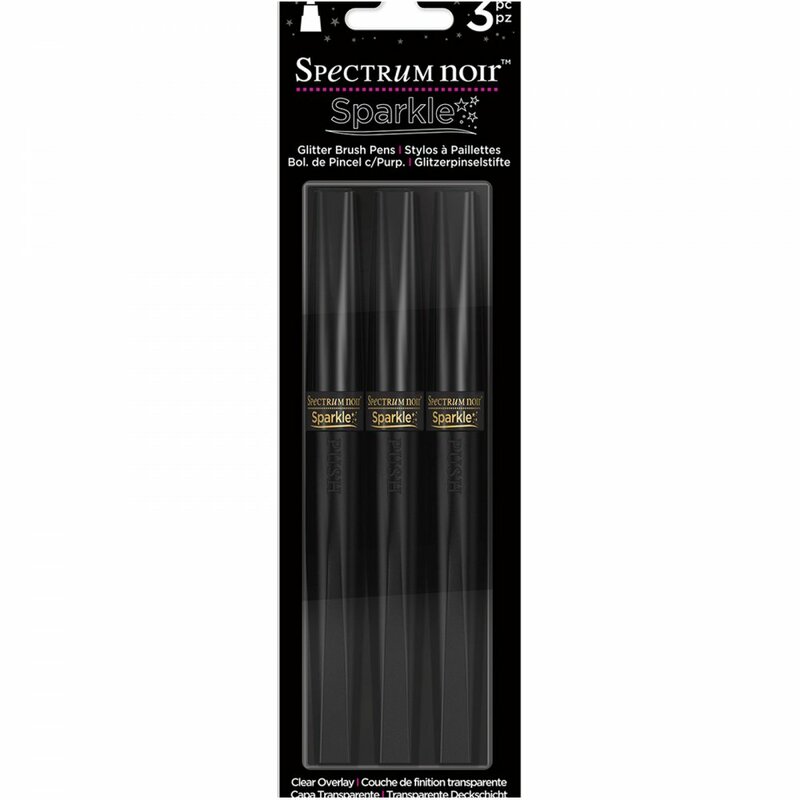 Lovely brush on these sparkly pens which enables you to cover really intricate parts of drawings or ink & painted card. I have not used any other makes of sparkle pens so I cannot compare them but I am very happy with the finished look I have achieved. Mainly used on top of thick watercolour paper which had been coloured with Spectrum Noir alcohol markers. Very pleased with these brushes.